Top Division Lofts Ltd - Builder based in London, Greater London. Top Division Lofts is a specialist loft conversion company founded by Ben Hollows. Ben, originally from New Zealand, has lived in London since 2006 and has over 10 years’ experience working on loft conversions. Top Division Lofts combines Ben’s skills and experience with a great team of tradesmen, who together build high-quality lofts with commitment and determination so that you can be confident in getting the loft you desire. To create high-quality, bespoke lofts in the agreed timeframe, and exactly to your requirements. We understand that undertaking a renovation in your home can be a daunting prospect, and as such we offer a fully comprehensive service looking after every stage, from design through to build. We keep lines of communication open at all times so that you can rest assured that your project is on track. We’re so committed to delivering on our promise that we offer a 10-year warranty. We are a team of skilled, dedicated, and trustworthy individuals who are passionate about delivering an outstanding loft for you. 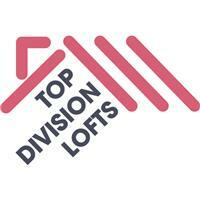 Top Division Lofts is based in NW London and has projects all over London.